Happy to be a part of this! Join us for the 28th Anniversary of School 33 Art Center’s Baltimore Open Studio Tour, presented by Bank of America and the Baltimore Office of Promotion & the Arts! Open Studio Tour is an annual city-wide event that for 28 years has brought together professional artists and the general public. Each year, collectors and art lovers have the opportunity visit artists in their studios, see their work, and get a behind-the-scenes glimpse into their working processes. On Saturday, October 8 and Sunday, October 9, visit the studios of more than 100 artists located throughout Baltimore City to view and purchase their original works of art, including paintings, sculptures and photographs during this self-guided tour. And don’t miss the Friday night kickoff events in our 2016 Community Spotlight neighborhoods. More information about this year’s Spotlight neighborhoods TBA. 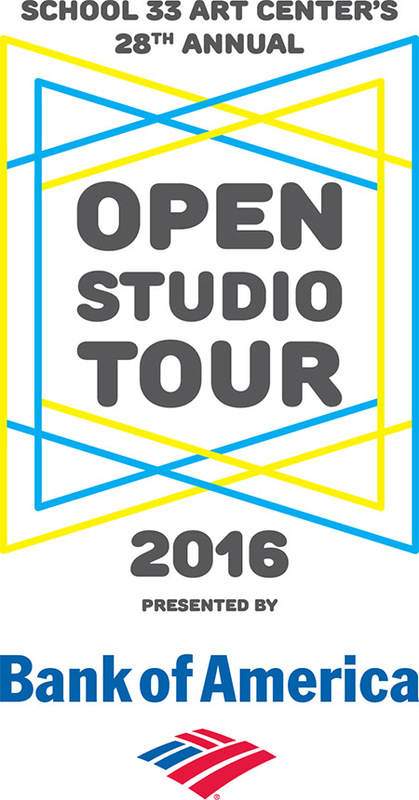 Be sure to check out the 2016 Open Studio Tour Blog! Starting on Wednesday, October 5 you’ll be able to pick up a copy of CityPaper for a pull out map of this year’s participating studios! You will also be able to download a copy of the map here on our website.